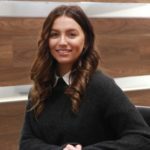 Fire safety is vital all year round, year-on-year statistics show total number of fires attended by FRSs decreased for around a decade, falling from a recent peak of around 474,000 in 2003/04 to the series low of around 154,000 in 2012/13. Since then the total number of fires has slowly increased, with an increase of 3% in the last year from around 162,000 in 2016/17 to around 167,000 in 2017/18, which is why it’s important to ensure every step is taken to prevent them. 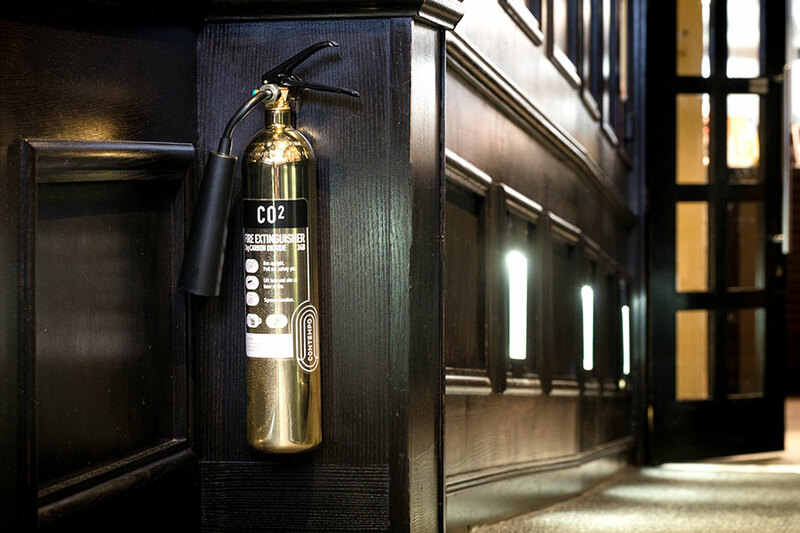 Interiors in which aesthetics play a big part in the overall tone and atmosphere of a room – hotels, restaurants and shops, for example – the traditional finish of a fire extinguisher needn’t interrupt it. The Contempo range of extinguishers from Commander excels in blending practicality with stunning design – and its finishes are ideal for continuing the aesthetically pleasing interior. The Contempo range has been designed with elegant and luxurious interiors in mind so there’s now no reason to sacrifice fire safety equipment in order to keep up appearances. 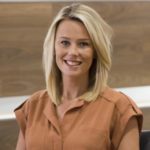 What’s more, the range is an industry first. There are three colourways available and can complement the very finest interior design and even prove to be a feature in its own right. Available in up to six-litre/kg sizes, the polished gold extinguisher looks part and parcel of any considered interior design. 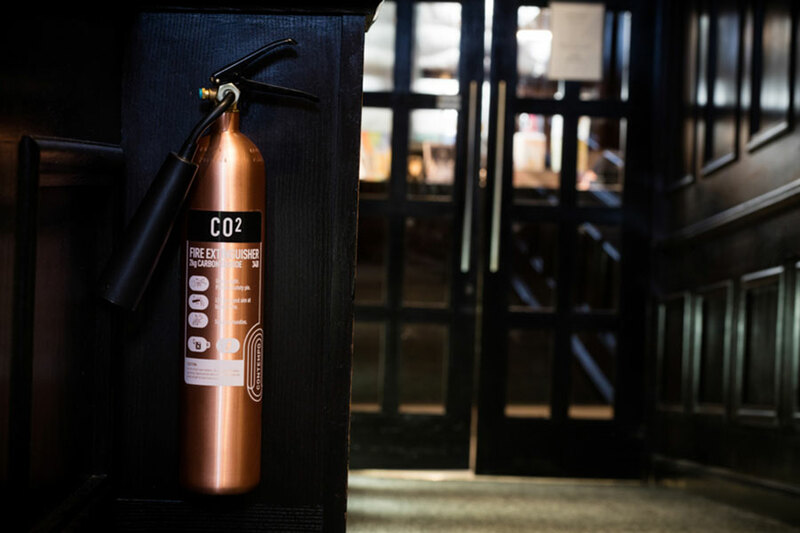 Choose from powder, CO2, water, foam and MultiCHEM extinguishers depending on the type of protection the venue requires. With matching polished gold tubular stands and ID stands, these unique units can provide a feature in modern bars and restaurants or any other setting that requires an elevated overall look. It might be highly durable and one of the most corrosion-resistant metals available, but stainless steel also makes for a beautiful finish on a fire extinguisher. This hardy extinguisher can stand up to even the toughest environments. 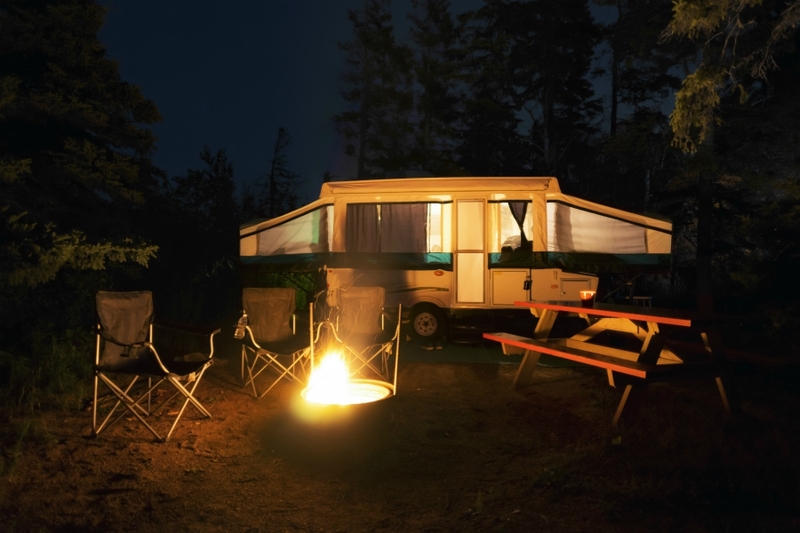 It’s available in up to nine-litre/kg sizes and comes in foam, CO2, water and powder. 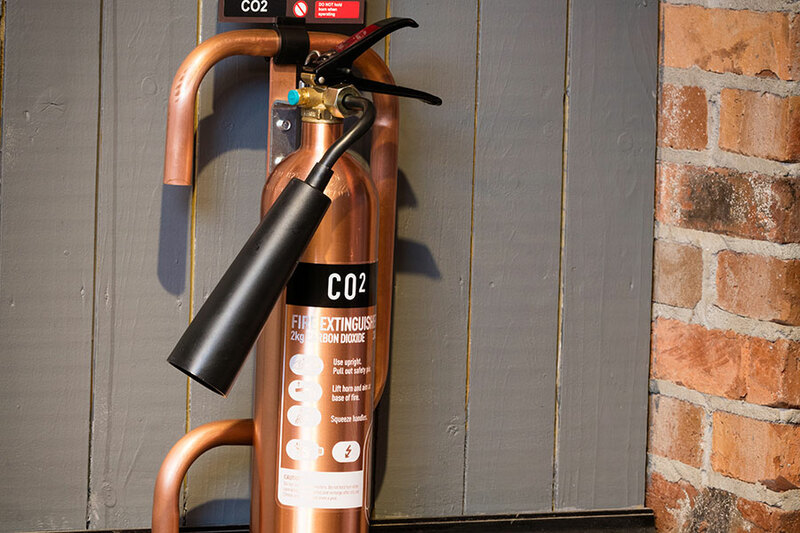 Ideal for modern bars and restaurants, boutique hotels and contemporary office space, the antique copper units are more than just extinguishers – they’re a design focal point for a room. 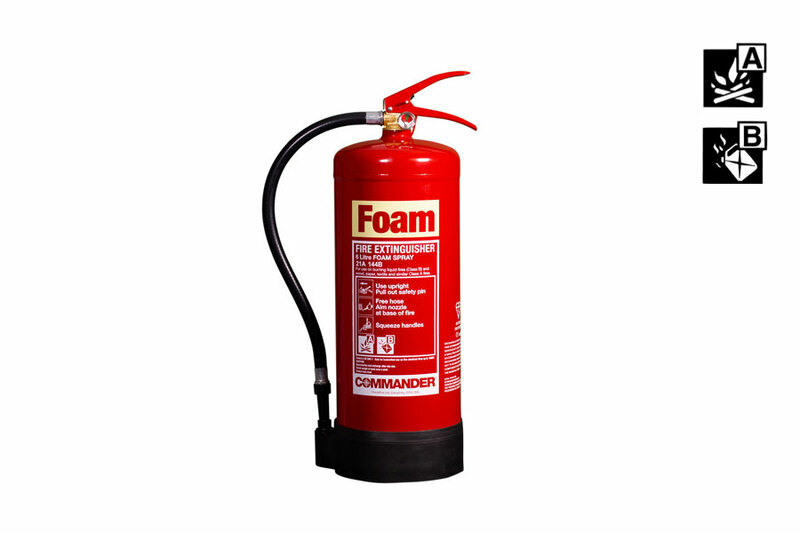 Get this extinguisher in up to six-litre/kg sizes and in either foam, CO2, water, powder or MultiCHEM. 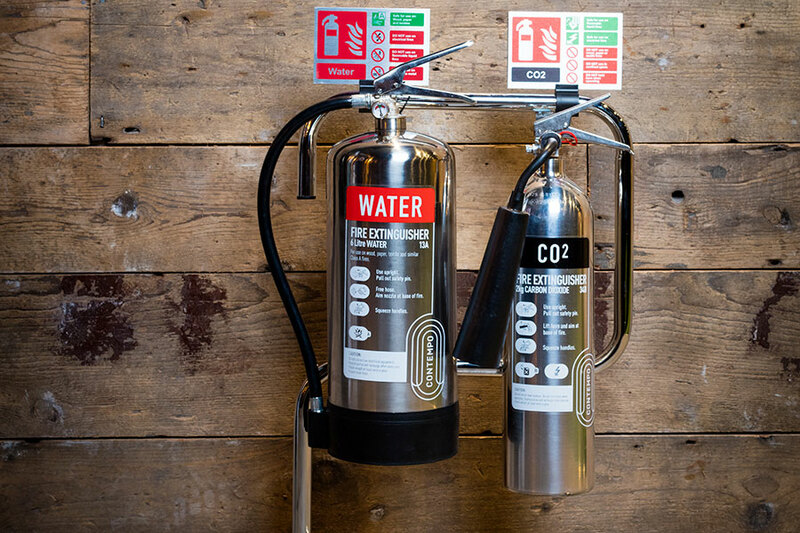 Fire extinguishers needn’t be a blight on any landscape – take advantage of these beautiful hand finishes and choose fire safety equipment you’re proud to have on display. For fire extinguishers to be (distributed) in the UK they must be, as a minimum, be CE marked. The CE mark tells the user that the product complies with applicable standards. In this instance, the standard is EN3. 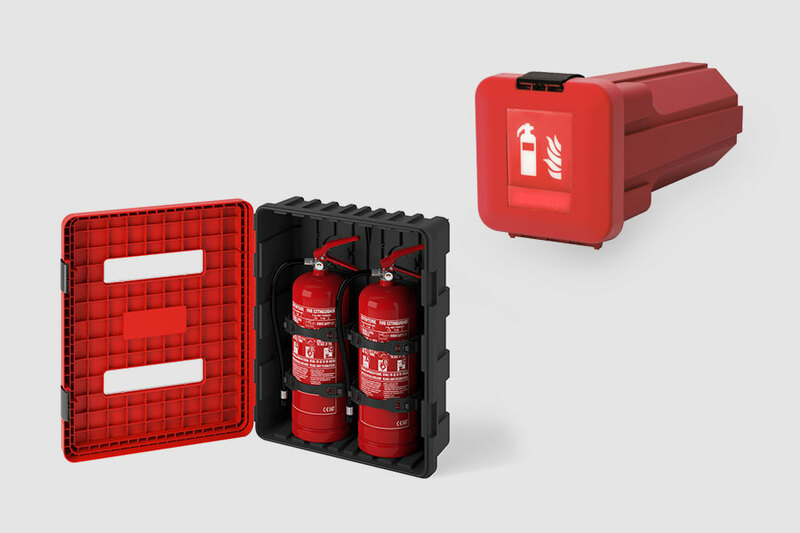 In order for a fire extinguisher to gain a CE mark is must comply with parts 1-10 to EN3, excluding part 7 paragraph 16.1 which has reference to the colour. The accreditation bodies view this as not part of the safety, operation and testing of the unit and is purely cosmetic the CE mark can be attached. Once the CE mark is attached, the unit becomes legal for sale within the UK and Europe.